The air screams as Magnus the Red descends from the skies, and stone runs molten beneath his shadow. Cyclopean son of the Emperor of Mankind, his very presence is anathema to logic. To look upon him is to surrender sanity, and when the Crimson King gazes back, destruction is loosed in unimaginable measure. Second only to the Emperor in terms of psychic ability, he rends asunder reality with a sweep of his blade, annihilating even super-heavy vehicles with the sheer intensity of his ire. Then, with a flex of mighty pinions, Magnus the Red is borne aloft, glorying in his unnatural power as he brings fresh calamity to the weaklings who oppose him. 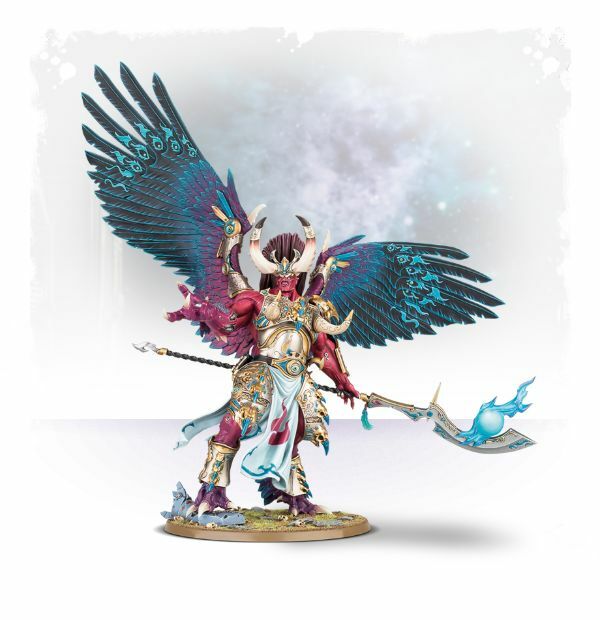 This multi-part plastic kit contains the components necessary to assemble Magnus the Red, Daemon Primarch of Tzeentch. An imposing winged model whose size is appropriate to his power, he comes with a selection of 3 different faces (cyclopean, open helm and closed helm), is clad in armour dating from before the dark days of the Horus Heresy and has an array of modelling options: accessories include magical tomes, scrolls and daggers. He’s armed with the frankly ostentatious Blade of Magnus, modelled as a choice of glaive or sword. 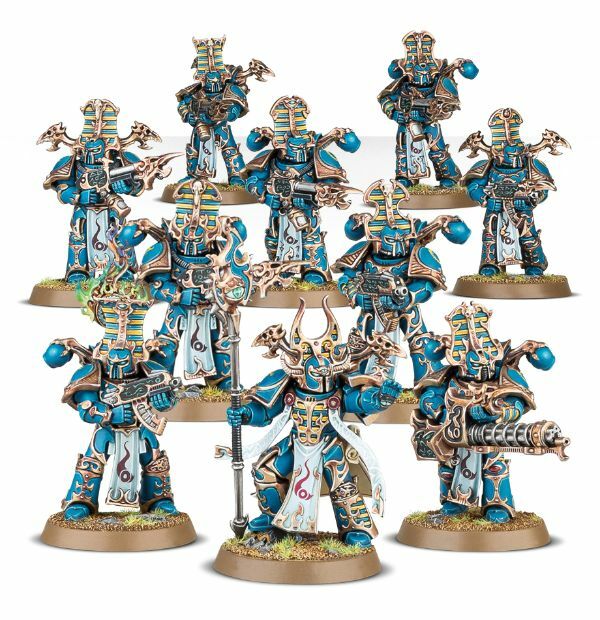 Supplied with a Citadel 100mm Round based, and a crushed Space Wolf Dreadnought for a base detail! #GAW 43-34 - Price: $ 130.00 - $ 104.00 On Sale! #GAW 43-35 - Price: $ 50.00 - $ 40.00 On Sale! #GAW 43-36 - Price: $ 60.00 - $ 48.00 On Sale! 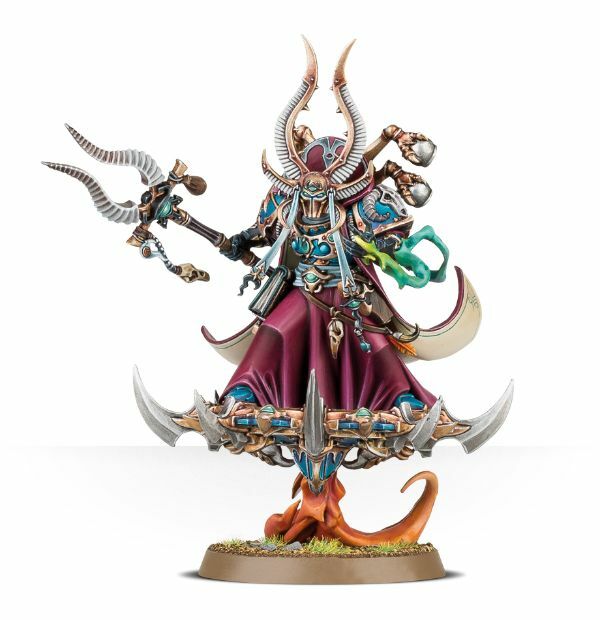 For ten thousand years, the seeker of arcane truths known as Ahriman has roamed the galaxy in a quest to acquire every artefact, every tome and every scroll that harbours eldritch powers. Worlds burn in his shadow as he plucks these treasures from their owners by any means necessary. Resistance is the last error his enemies can make – Tzeentchian magic reshapes reality around them, a pass of the Black Staff twisting their bodies unnaturally until nothing remains but bubbling flesh. Ahriman, lord of a broken Legion; his determination is such that destiny itself bends to his whim. #GAW 43-38 - Price: $ 40.00 - $ 32.00 On Sale! #GAW 43-39 - Price: $ 60.00 - $ 48.00 On Sale! 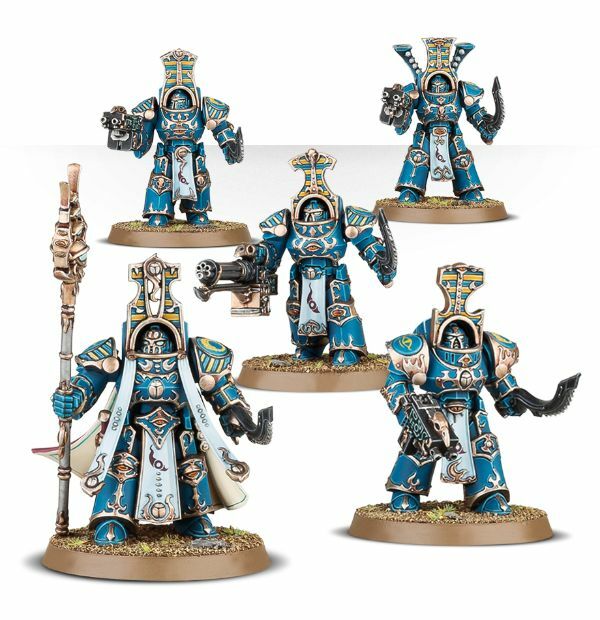 Tzaangors are bright of colouration and sharp of intellect. Their beaks clack as they chant blasphemous refrains in their dark tongues, gimlet eyes glowing in their aquiline skulls. 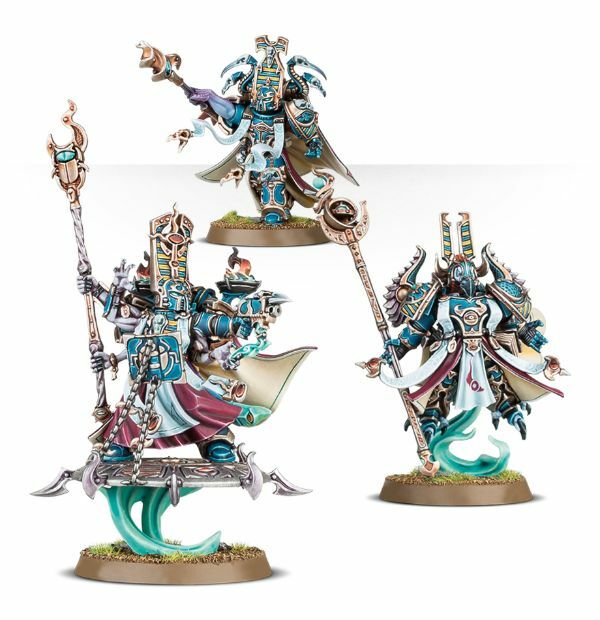 They look to transcend their existences by seeking out the most powerful artefacts and priceless relics – in serving sorcerous masters, they may earn the chance to elevate themselves. 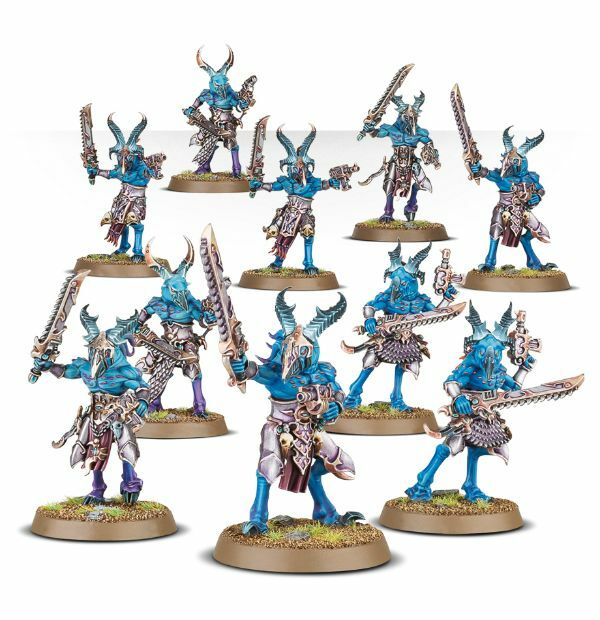 However, a cruel streak resides within the soul of every Tzaangor, and their artistic pretensions are often set aside in favour of sheer, shocking brutality. #GAW 43-40 - Price: $ 45.00 - $ 36.00 On Sale!